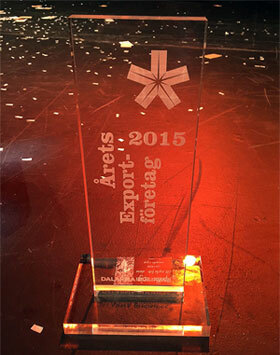 Today we are celebrating after taking home the Export Company of the Year award at Stjärngalan 2016, Dalarna’s annual regional business awards This prestigious event took place at hotel Galaxen in Borlänge in front of over 500 people. Judges congratulated CTEK on a year of strong growth and increased profits that was attributed to our constant focus on quality and customer service. CTEK beat off stiff competition from Autoform and Dellner to claim the award. Darlana is a vibrant area and a great place to be based, alongside so many other successful companies, and we are therefore absolutely delighted to win this highly prestigious accolade. The award is testament to the hard work and dedication of everybody here at CTEK!